On paper, starting and finishing 19th in one race is nothing impressive. Zach Veach’s weekend at the Honda Indy Grand Prix of Alabama was not something that can merely be categorized as “by the books,” though. The 22-year-old rookie out of Stockdale, Ohio made all the right progression throughout his first full weekend in the Verizon IndyCar Series, a confidence booster that saw him improve methodically with each passing session and then finish all 90 laps in his race debut. 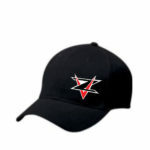 Veach was called up as an injury fill-in for JR Hildebrand, sidelined after sustaining a broken bone in his left hand on the last lap at the Toyota Grand Prix of Long Beach, to drive the No. 21 Fuzzy’s Vodka Chevrolet on the notoriously difficult, physical Barber Motorsports Park circuit. Despite starting a bit off the mark by current, entirely compressed IndyCar standards where a second usually covers the entire field, Veach closed the gap to the overall leader from 2.5 seconds in first practice to 2 in the second, and down to 1.7 by qualifying. Similarly, he closed on teammate Spencer Pigot in each session as well, from 1.5 off in first practice to 1.1 in the second, 0.8 in the third and just 0.5 in qualifying. 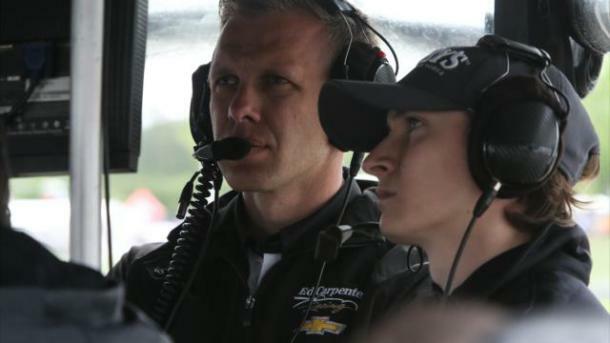 More to the point, he stayed out of trouble with no major mistakes on or off track, and his Ed Carpenter Racing team was smart to not run him in the treacherous rain and damp conditions in Sunday morning warmup. Hildebrand, too, took Veach under his wing playing mentor and coach in a weekend he didn’t expect to be sidelined – but was gracious as ever. Veach ran as high as fourth in the race off-sequence on the first stint, and his only major faux pas was when he came back into the pits on a closed pit following a restart and took additional service. That netted him a drive-through and probably cost him about two spots, but it was hardly an egregious error. “Overall, I’m pretty happy with our first Verizon IndyCar Series weekend,” said Veach, who was participating in his first IndyCar running since a single test day with ECR at Sonoma last September. Although Veach co-drove in a two-plus hour IMSA WeatherTech SportsCar Championship sports car race at Mazda Raceway Laguna Seca in 2015 in a JDC-Miller Motorsports Prototype Challenge car, he hadn’t run a race as long as this one on his own in his career. All the races he’d run in Mazda Road to Indy presented by Cooper Tires races between Indy Lights, Pro Mazda and USF2000 since 2010 were an hour or less. 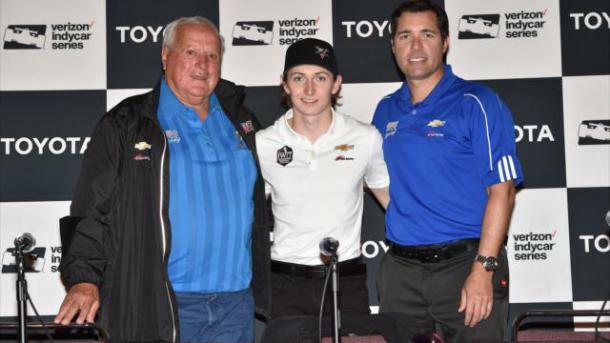 Veach now has a full race under his belt before he debuts at the 101st Indianapolis 500 presented by PennGrade Motor Oil, in a third Chevrolet-powered entry for AJ Foyt Racing. The Ed Carpenter Racing driver lineup will again be a story this week heading into Saturday’s Desert Diamond West Valley Phoenix Grand Prix (9 p.m. ET, NBCSN). Hildebrand is hoping to be cleared to drive but if not, it remains to be seen whether Veach will get another shot, or whether Pigot gets a call-up for what would be only his second oval start in an IndyCar. Team owner Carpenter is slated to make his first start of 2017 next weekend in the No. 20 Fuzzy’s Vodka Chevrolet. On Sunday, Pigot ran as high as fourth after starting 17th but had a spin off Turn 5 that cost him a likely second straight top-10 result, having run eighth most of his second stint. Veach now joins the list of young guns with recent Indy Lights experience – Matthew Brabham, RC Enerson and Stefan Wilson among others – with only a handful of IndyCar starts under their belt awaiting a full-time shot, but can now say he is an IndyCar driver for life.